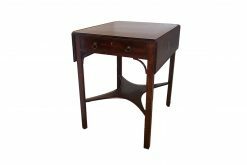 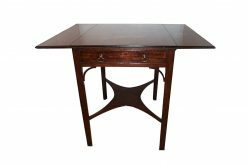 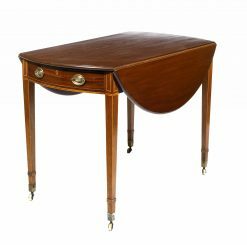 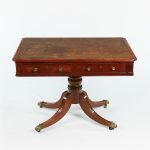 Early 19th Century George III mahogany library writing table with very fine line inlay. 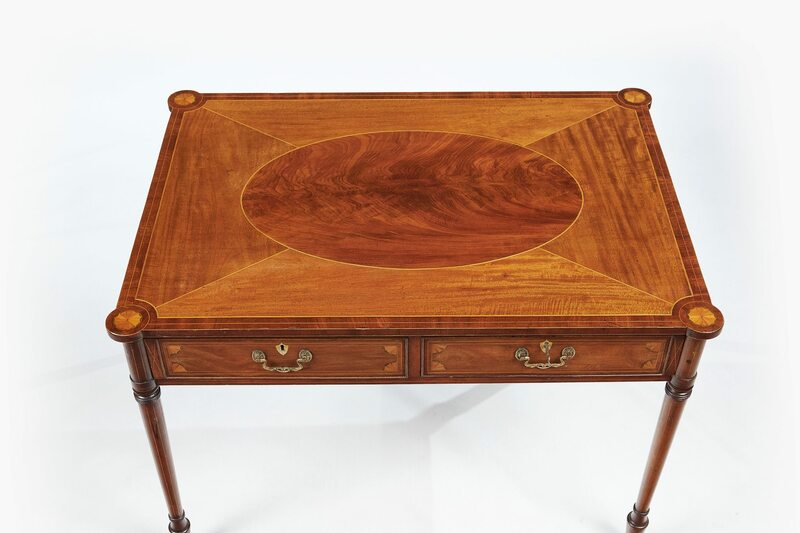 Rounded corners with fan inlay. 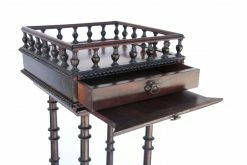 Two drawers with mother of pearl escutcheons, two dummy drawers on reverse side. 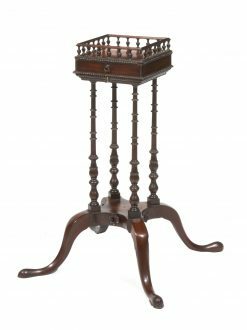 Terminating on four elegantly turned legs with castors. 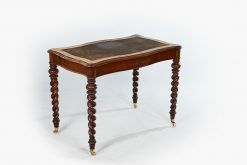 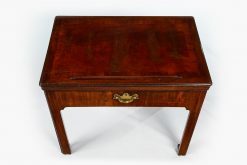 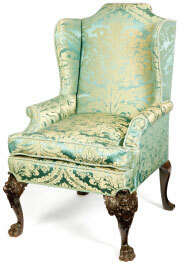 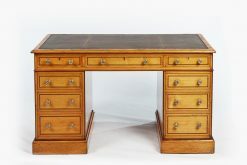 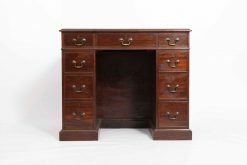 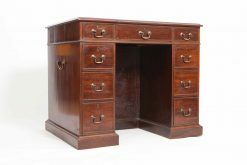 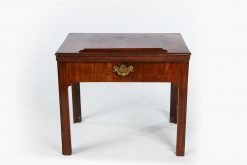 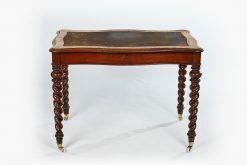 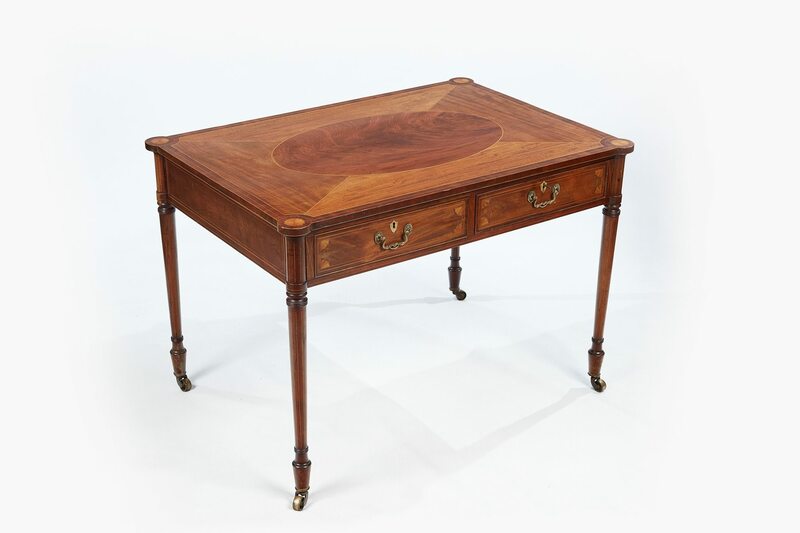 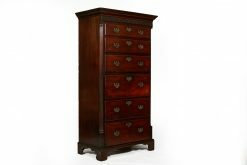 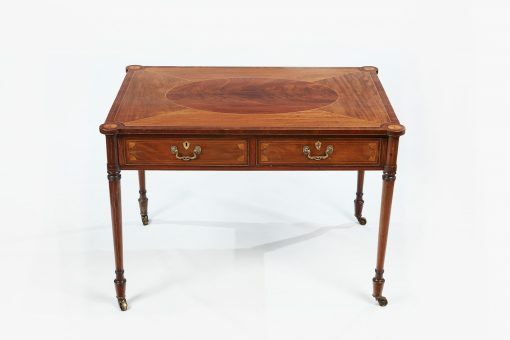 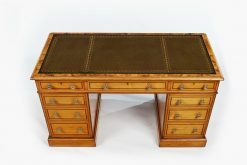 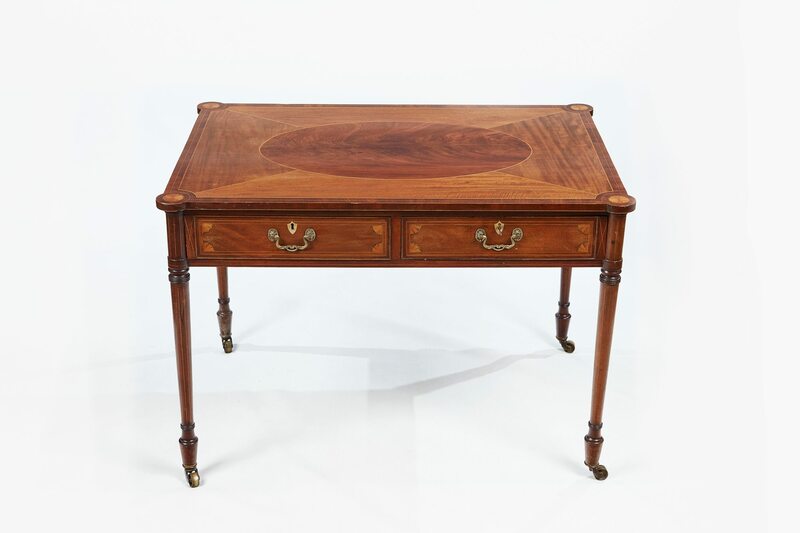 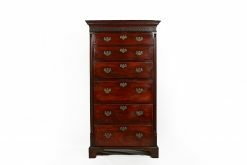 To enquiry about "9575 – Early 19th Century George III Mahogany Library Writing Table", please complete the below form.